← 50/50 Tickets Now Available! 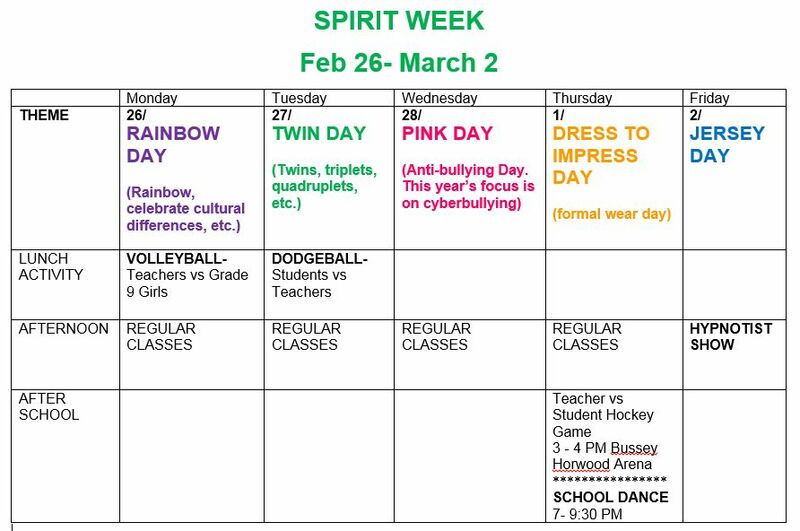 Spirit Week Is Almost Here! Spirit Week is almost here! It runs from Monday, February 26th to Friday, March 2nd. Every day will have a different theme, and there are special events that run throughout the week. Check out the schedule for more information, and listen to the morning announcements for any additions or changes to the schedule!